The application that we are scoping will serves as “Online Shopping Website” using custom framework (PHP) ” that will facilitate a shoppers to do shopping by choosing products as per the selected categories/store/vendors/brands, add products into a shopping cart and securely make payment for the products. The website/app will basically be an online shopping portal where many vendors can list and sell their products. Each vendor can list their products with multiple addresses from where the products will be shipped from or individuals may go and collect. The site/app will facilitate shoppers to do a search using name of products, vendor or shopping malls and list multiple products comparing prices from multiple vendors. They can select mall / store or vendor and can also select category & related sub-categories, brands to view the related products over site. When a user searches and likes a product, the user must be able to share the product using the share icon, and this can be shared on the user Facebook, twitter or Instagram feeds. 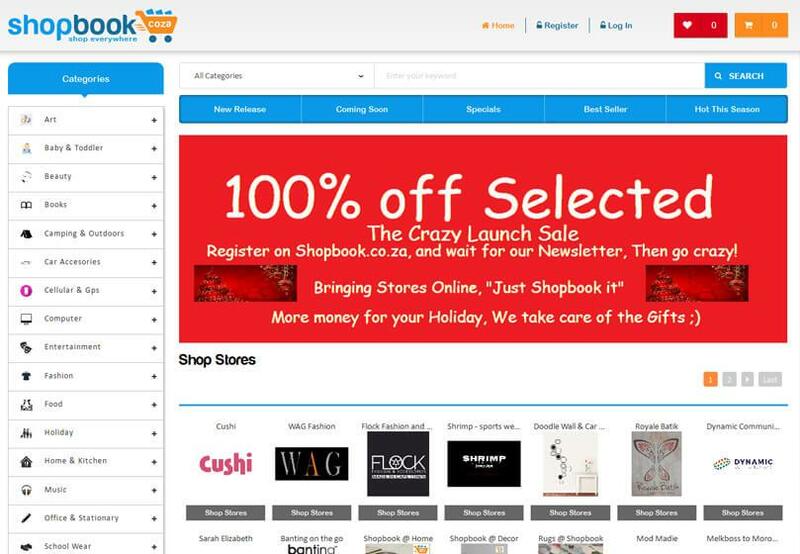 Shopbook chooses LogicSpice for its extensively dextrous who are exhaustive in the art of creating a myriad of compelling website . With the latest tools in the world of mobile application, we ensure that clients receive the best product from us, distinct of the size and based on the scope of project. The motto of the proposed website solution is that Seller can Buyers can login & can search for sellers in their region and view products listed by them over website. They can place orders for their desired products over website. Sellers can then receive orders and can buyers can make payment manually to the sellers. Both buyers and sellers can post review ratings over each other and can send/receive messages to/from each other over website. Sellers can also view their Instagram followers and followings over websites.